The suburban city of Chandler in Arizona enjoys around the year warm climate and scenic views. As such, most architects designing a residential or commercial structure for Chandler, AZ prefer to incorporate glass windows in their design. Superior Replacement Windows is a top-rated window repair and glass installation company that has been servicing Chandler property owners and renters since 2004. 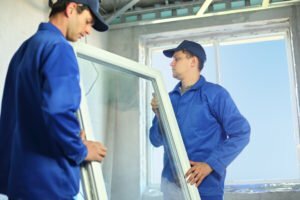 When you choose Superior Replacement Windows to replace or repair your property’s glass windows or doors, you are choosing to work with a local company acutely aware of Chandler’s environment than say, a franchise chain of glass repair service. Located in Chandler, Superior Replacement Windows is listed with the Arizona Registrar of Contractors, Local First Arizona, and Trusted Business Reviews. Many properties in Chandler area use sliding glass doors to access patio area from the main living area. Sliding doors and hinged swinging doors give unobstructed views, brings the outdoors inside but replacing broken or chipped glass in their panels can be a challenge. Custom configurations, complex grille designs, and extra features like pet doors command the best professional glass replacement service. Replacing storefront glass, where an expansive piece of glass must be installed in whole, can be even more challenging. 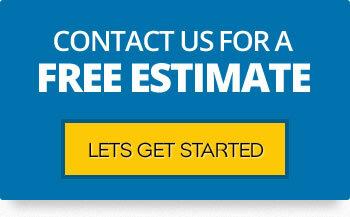 We also offer glass replacement for skylights, glass shower doors, and office windows. If you have a commercial business, our glaziers can quickly install storefront windows and glass entry doors. Superior Replacement Windows has been in the business for over ten years and is listed on several credible review websites. We only use the highest quality glass products from local window suppliers including energy efficient low E glass and insulated glass units. They employ skilled glass technicians who ensure each job is completed with quality and safety. works fast: they provide same day no-obligation quotes and a window is replaced within a day of glass cutting. Located in the South Central region of the state, Chandler Arizona is a well-known suburb of Phoenix, with a population of around 247,000. The city was originally founded by veterinarian Dr. Alexander Chandler, who purchased several thousand acres and established the Chandler Ranch, in 1912. Though Chandler has experienced substantial growth in the past decade, this wasn’t always the case. The city has competed with Phoenix for residents. However, with the development of manufacturing facilities for companies like Microchip, Intel, and Motorola, people have found the city offers plenty of jobs, as well as activities for the young and old. Companies like Wells Fargo, Verizon, Paypal, and Bank of America also operate in the city. Chandler AZ has been named an all American city and is home to the state’s first golf resort. Chandler has nearly reached its growth potential, so it is not expected to become too much larger than it is today. This is good news for retirees and those who might consider relocation. Chandler is also an excellent place to visit for tourists, due to its history and close proximity to places of interest. The main historic sites in Chandler Arizona located in the city center. The city also has 3 malls, a fashion center, an arts center, and several museums. Of special interest are the Holocaust and Tolerance museum and the Arizona Railway Museum. There are plenty of outdoor and learning activities available to people living in Chandler. The parks department offers exercise, dance, sports programs, art programs, and much more.There are several aquatic centers for swimming and other water activities. Chandler prides itself on having concern for the environment, with many environmental education programs, improvements of outdoor and green spaces, and sustainable living programs. Chandler also celebrates its heritage, with an Indian Arts market and Expo, featuring dance, music, handcrafted jewelry, and crafts.